Kids, pets, motorway miles and lots of cargo don’t have to negate all forms of driving pleasure. For every-occasion fun and serious speed, here are our favourite performance bargains that the labrador can enjoy as well; all of them available for less than the price of a Ford Fiesta. Officially the ST will do 0-62mph in 8.3 seconds, so while there are faster estates, you can’t deny the desirability of 67.3mpg. The boot is capable of carrying 476 litres with the seats in place and 1,502 litres when they’re folded. That’s some way behind the Skoda Octavia vRS estate, but still plenty big enough. Should you choose the petrol or diesel? While the 183bhp 2-litre TDCi engine will impress you with economy and efficiency, the petrol remains more fun. If you’re very lucky, you might be able to find one of these for about £10k, but you‘ll have to do some hunting. If you do, well done! The S4 has blistering pace, doing 0-62mph in around five seconds, but that does mean you’re unlikely to see the claimed 35mpg fuel economy. While it’s fast, a good all-rounder, comfortable, and roomy, it might not be the most exciting ride however. To distinguish it from regular A4 models, the S4 comes with 18-inch alloy wheels, a bodykit, matt grey grille, painted brake callipers and quad exhaust pipes, while inside are leather/Alcantara sports seats, aluminium trim and discreet ‘S’ badges on the steering wheel and instruments. The estate version of the ever-popular Leon is decent to drive, packed with kit, and a good-sized boot (587 litres with the rear seats up, 1,470 litres with the seats folded). Choose from seven turbocharged engines; petrol fans can choose between the 1.0-litre 115hp three cylinder plus four cylinder 1.2- and 1.4-litre units. If you’d rather get a diesel, there’s everything from a 115hp 1.6-litre to a 190hp 2.0-litre TDI. The latter manages a claimed 68.9mpg while emitting just 121g/km of CO2 and 61.4mpg. When you think of a Passat, you tend to think of practicality and reliability above all else. 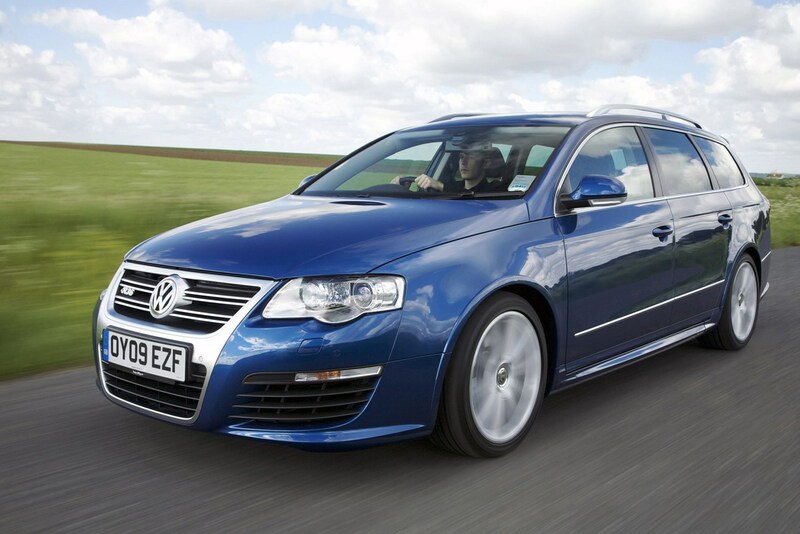 But the R36 delivers more, giving you performance too, thanks to the 300bhp 3.6-litre V6 engine. It also uses a four-wheel drive system (called 4MOTION) to provide excellent traction. The R36 can get 0-62mph in under six seconds, and it’s lower than the standard car. You’ll get unique front sports seats, along with a brushed aluminium trim, a flat-bottomed steering wheel and sporty dials. 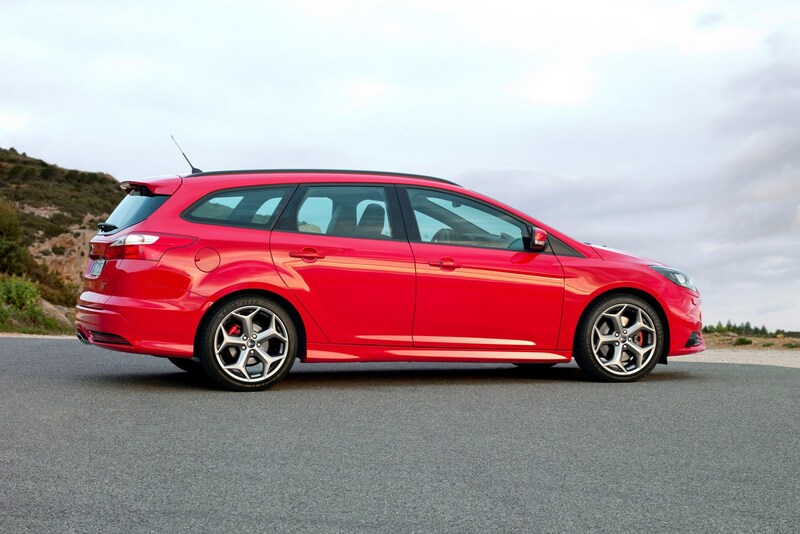 The estate is hugely practical with 513 litres of boot space with the seats in place and 1641 litres with them folded. 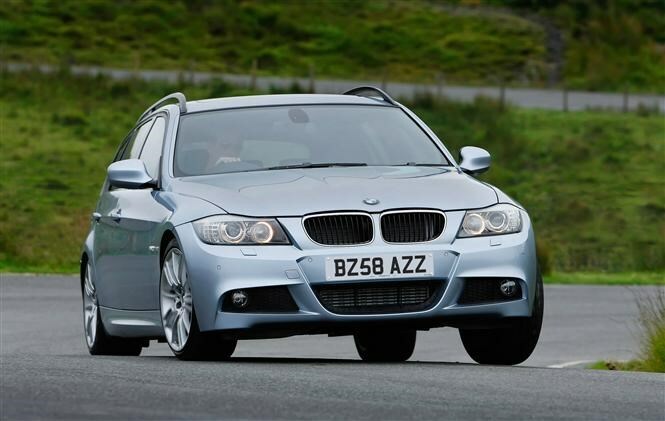 BMW often holds back from shoehorning its full M-car powertrains into an estate body. So the E90-era 330d may not be the full-fat performance derivative, but a 500Nm six-cylinder diesel oil burner combined with rear-wheel drive delivery make this a finely balanced family wagon with legitimate performance credentials. 230hp ensures 62mph is cracked in 6.6 seconds and the 2,993cc engine will breeze up to a 154mph top speed. The M Sport trim adds a real sporting edge to the car’s aesthetics, and the extra aggression ensures it still looks fresh today. Trips to the landfill site will be frequent as the luggage capacity is a considerable trade-off , but diesel economy make for a great all-round package. Even in this company, the Octavia vRS represents outstanding value for money- £6,000 will return a sub 70k miler that is less than eight years old. 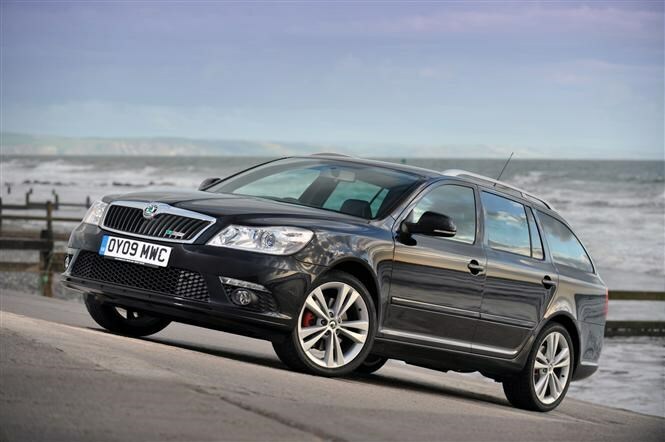 A diesel power plant was also available in the vRS broadening the estate’s appeal even further. This will get the Skoda from 0-62mph in 8.0 secs, but the petrol engine drops that time into the mid-sevens. This entry may not have the badge appeal of the BMW, but to those in the know, it’s a well-respected car nonetheless. The image associated may not scream sporting dynamics, but that’s one of the reasons that we can find an array of cracking examples that come in under budget. Skoda’s Volkswagen ownership bodes well for the reliability and build quality of the Octavia and few jobs will demand more than the space offered by the vRS. The mid-noughties represented a regression in the build quality for which Mercedes-Benz was renowned. 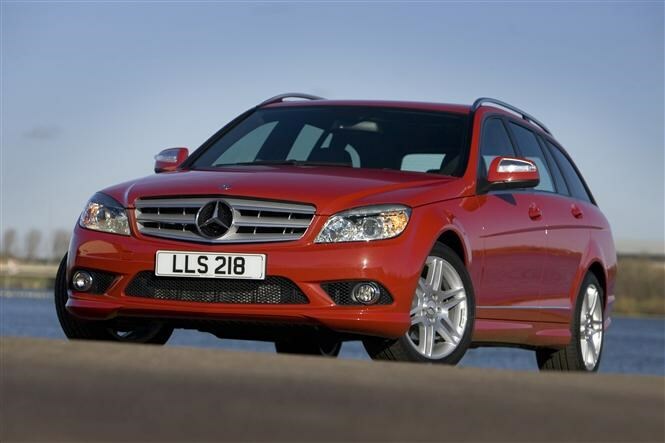 The C-Class codenamed the W204 did mark a notable step up in standard over its predecessor, but the cabin finish was still behind its Audi and BMW rivals. The 272hp output from this BlueEffciency engine will be sure to shake loose any of the ill-fitting trim, but hitting 62mph in 6.3 seconds ensures you will be having far too much fun to notice. As our chosen Mercedes C-Class Estate is not the full-bore AMG C63 variant, the softer suspension set-up will ensure a ride more angled towards comfortable and composed progress over even the most British of roads. Perfect for family users wanting to carry luggage and limbs aplenty in a compelling, classy estate package. Look hard enough and you’ll find a cherished used one within our budget. Seven of the eight-engine range are turbocharged; topping the range is the 1.6-litre Turbo with 197bhp and 300Nm of torque from just 1,700rpm. It feels brisk rather than sporty, despite claims of 146mph and a hot hatch-like 7.2-second sprint from 0-62mph. 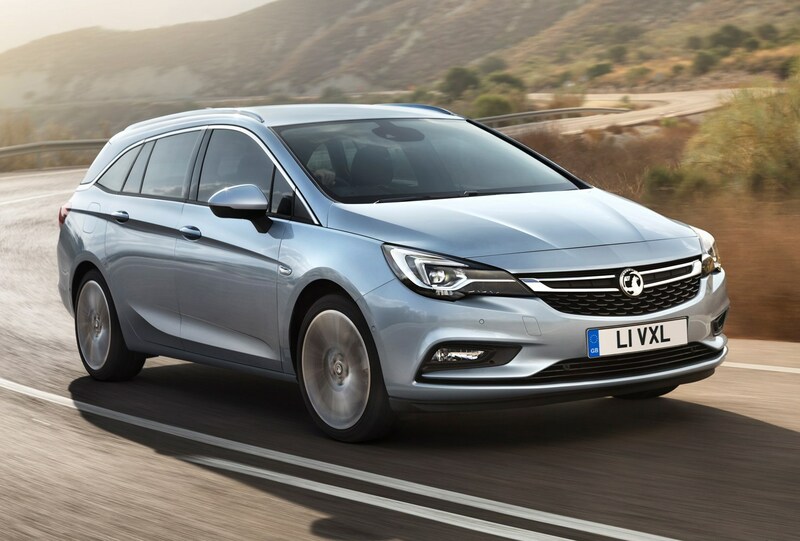 Seven of the eight engines in the Sports Tourer range are turbocharged. Providing the best pace is the BiTurbo version of the diesel, producing 158bhp and 350Nm of torque from just 1,500rpm. It’s a responsive unit, with negligible turbo lag, offering strong performance without having a woeful impact on efficiency. It’ll reach 137mph, completing the 0-62mph dash in 8.4 seconds, yet still has a claimed average of 67.3mpg and emissions of 112g/km of CO2. 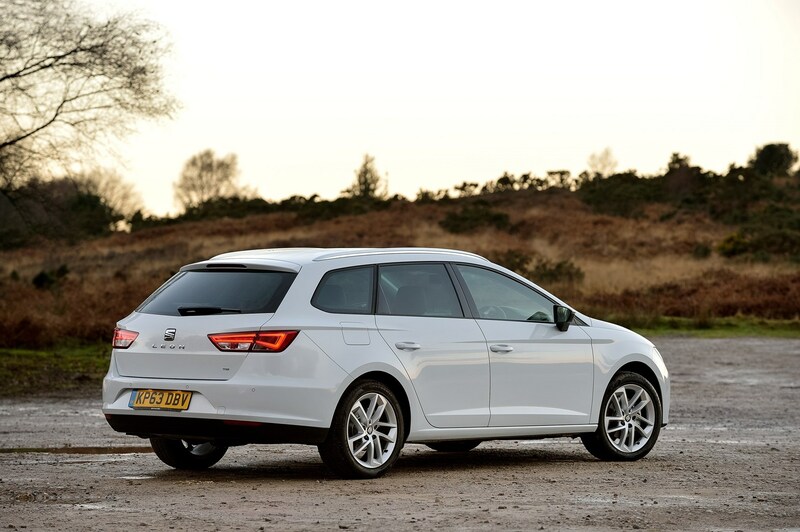 The Sports Tourer is much lighter than its predecessor, meaning it’s more agile; this is a great all-rounder. Once upon a time, Mondeos were so common that they even coined their own political class. But underneath the familiar face it is easy to forget that all Mondeos of this generation were excellent to drive. The ST220 builds on this with a 3.0-litre V6 stroked to 225hp. Initial depreciation was steep on all Mondeos, but today, even this sporty variety doesn’t look set to claw any of that value back. Also, the dull interior lacks any performance pedigree and won’t help soak up those motorway marathons. However the understated cabin is a reflection of this car’s set-up skewed favourably to comfort so a sporting compromise needn’t be made. 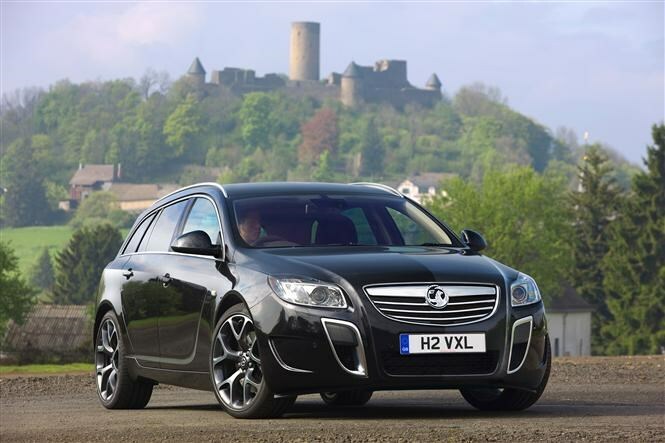 Sneaking in under our £10,000 budget, the Insignia’s relative youth makes the VXR a tempting proposition; although in our review we found the car to be somewhat lacking from behind the wheel. Numb steering made the driving experience feel uninvolving, and despite the on-paper grunt, we found that the car rarely feels as powerful as the manufacturer claims. The added traction from the four-wheel drive system keeps the motor in check. BMW’s revival of the classic British design has been a sales triumph, but the retro styling hasn’t fared well in being stretched out over the Clubman’s more portly frame. That said, the JCW variant adds more aggressive front and rear bumpers, bespoke alloy wheels and an added spoiler on top of the bread van to help reign in the deficit.Thankfully the larger proportions haven’t been to the detriment of the hatchback’s go kart-like handling which carries over. A 1.6-litre turbocharged engine with 214hp – a considerable 40hp over the lesser Cooper S – may seem outgunned in such formidable company, but the funky interior will keep you amused while you catch the others up. It still makes for a brisk proposition, regardless. Yes, it really is. 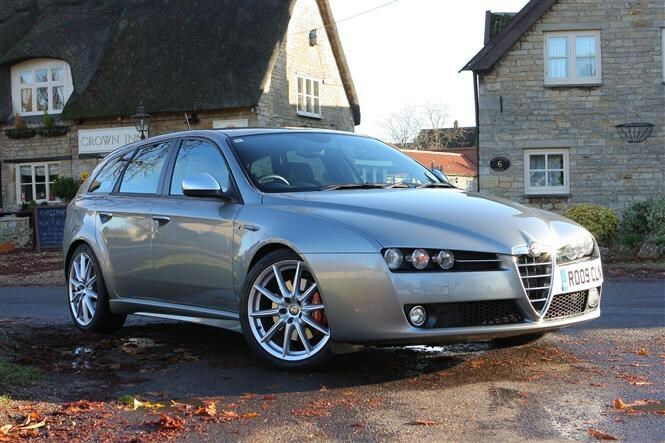 Alfa not doing its own stereotype any favours in making an estate with more limited practicality than its saloon counterpart. But the exterior beauty and interior flair make this the pageant winner. 264hp still puts the hottest version of the 159 someway down our list, but when the V6 is as soulful as this and the chassis as competent you won’t want for much more in most scenarios. The badge and looks will gain you instant kudos and attention; thankfully a better reliability record for the 159 should quell any fears. 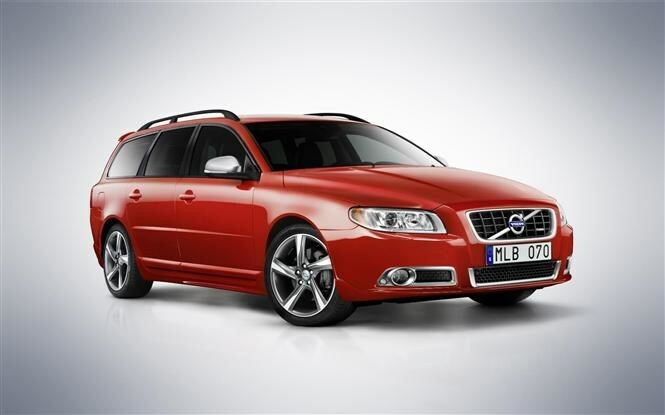 The Volvo V70 T6 is our leftfield option. The standard car may be associated with a less-than-sporting target market, but twin turbochargers bolted on to the 3.0-litre six-cylinder engine will soon blow those stereotypes away. 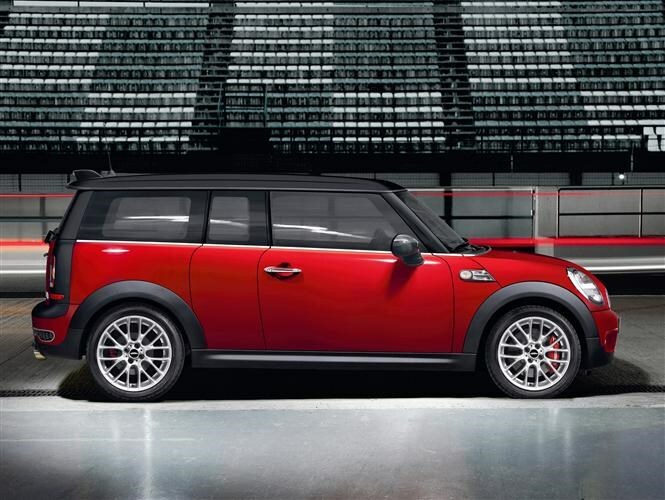 The resulting 300hp and 440Nm of torque is delivered to the tarmac via all-wheel drive. The trade-off is losing its predecessor’s five-cylinder set-up that sounded fiercely reminiscent of the legendary Group B Audi Quattro rally car, but this car’s extra performance with no drop in MPG should even things out. Even when new, the 9-3’s £515 annual car tax, low 20s MPG and 41 rated insurance group made this an expensive fast wagon. 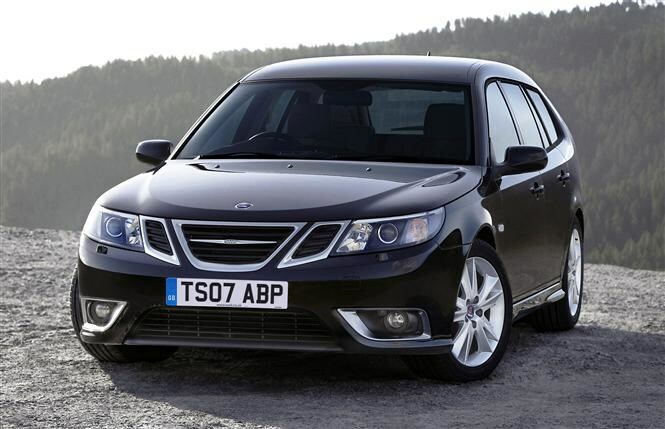 With the demise of Saab making parts and servicing harder to maintain, that expense is only going to head north. But, the 9-3’s alternative styling and sub-6 second 0-62mph time are an intoxicating redemption as is the potential to see 155mph on the speedometer. The Saab’s luggage capacity isn’t down there with the Alfa, but it’s definitely a compromise over other entries to our list. Like the BMW 335i, Subaru never blessed the Impreza estate with its fieriest STI makeover, but the WRX deserves its place on our list. The turbocharged 2.0-litre engine is good for 223hp and rallying-roots are testament to the car’s rugged dependability, no matter the conditions. 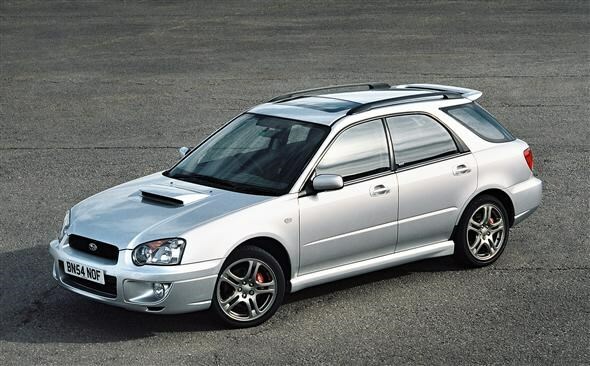 When Subaru first made it to the UK they were sold alongside farming equipment and these agricultural roots are evident in the basic interior and unrefined engine. Nevertheless, for its sure-footed drive and its Richard Burns/Colin McRae kudos we’ll take one in blue with gold wheels, please. Estates offer functionality for every occasion so expect to come across cars in the classifieds with hundreds of thousands of miles on the clock. But spend time narrowing down your search and examples dipping below 70k should be relatively simple to find. Has it been driven hard? 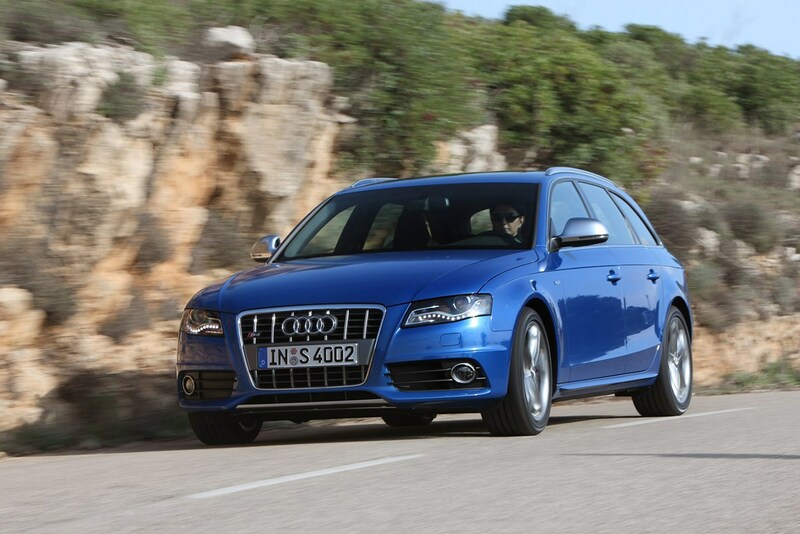 Many of the estates on our list are often only chosen above their diesel counterparts for their performance. So be wary for those that have been driven hard. Poor tyre tread-depth, slipping clutches from aggressive starts and heavy wear and tear should give you a good indication of those with a murky past. Does it look factory fitted? 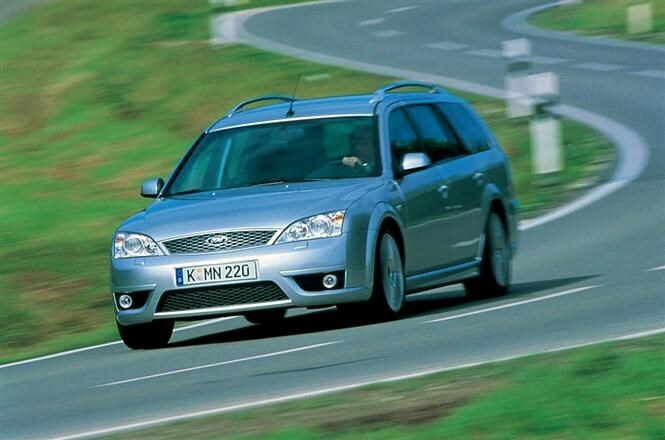 Despite the performance credentials of these estates, owners will often look to modify their fast wagons beyond their original design. Non-standard body trim, lowered suspension and engine boosts should attract caution as they could spell poor workmanship and heavy corrective surgery. The temptation is to buy a cheaper example in order to maximise your pounds for pleasure. However, as with any performance derivative, expect maintenance and repair bills to be costly, so avoid the slightly riskier examples in order to save a few quid down the line.